Can you work out how many squares can be found in this diagram? Can you be sure you haven't missed any? Can you be sure you haven't counted any twice? My fiance and I just did this puzzle; me on paper and him in head. I got 44 and he got 46. Very fun though. We think that Mrs Green is the cleverest teacher in the world as she got all 42!! 5G are quite celever too... :). We found all 42 squares easily. We went on to look at the chess board and found lots of squares...204 in total. What's more, we noticed lots of other really interesting patterns. Square numbers are clever things...and so are we! Mrs Hill's last ever maths lesson at Eversfield. :-(. The majority of 8X2 of Wintringham believe it is 44! (HA). 7 out of 21 think 34. Extremely easy starter the pupil in my top set found 42 in a matter of seconds. Quinetta can you tell me how you got 46 or 44 I only got 40. Class 3 at Frettenham Primary (Year 4/5/6) all agree there are 42 squares. This starter has scored a mean of 3.9 out of 5 based on 526 votes. The important thing is not the answer but the method you used to arrive at the answer. Did you have a structured approach? Were you sure that you had the right answer? Can you make up a puzzle like this for others to solve? 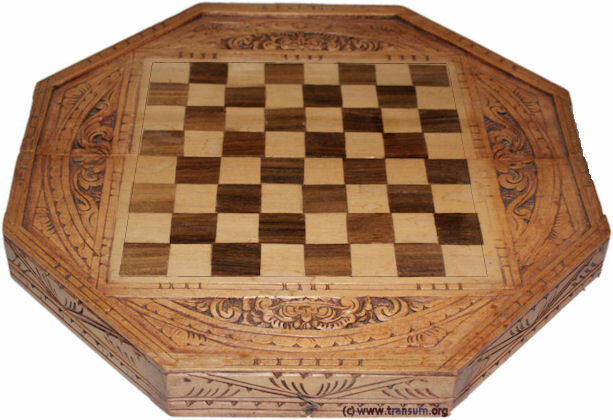 A more difficult extension challenge would be to work out how many rectangles are on a chess board. The use of a spreadsheet might be useful when working on this problem. Here is the URL which will take them to another systematic listing activity. There are 204 squares on a chess board. There are 1296 rectangles on a chess board.